With the market already taking into account a loss for the BJP in three key states of Chhattisgarh, Madhya Pradesh and Rajasthan on Monday, the uncertainty arising from the poll results seems to be over after leads of election results signalled a close finish for the BJP in Madhya Pradesh and a win for the Congress in Rajasthan and Chhattisgarh. On Monday, the Sensex closed 713.53 points, or 2 per cent, lower at 34959.72, and the NSE Nifty ended at 10,477.3, down by 216.4 points or by 2.02 per cent after exit polls on Friday showed BJP losing power in the three states. The Monday loss was preceded by closing gains for the market on Friday. While the Sensex closed 361 points higher to 35,673 level, Nifty gained 92.55 points to 10,693 ahead of exit polls on the last trading day of the earlier week. 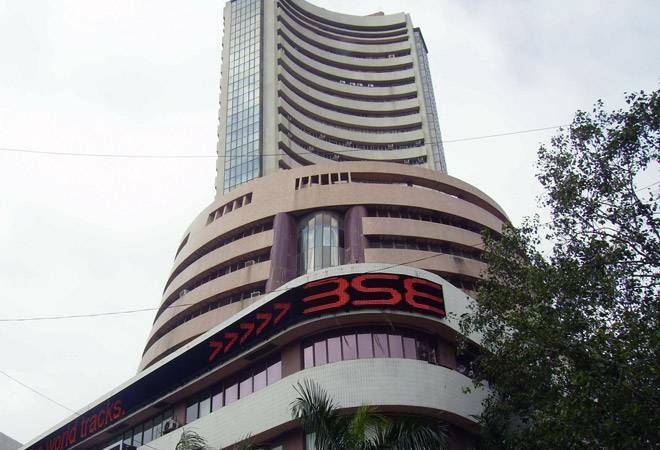 In early trade yesterday, the Sensex fell up to 533 points to 34, 426 level and Nifty lost 144 points to 10,333 level. However, the indices pared losses in afternoon trade with the Sensex rising over 781 points intra day to 35,207 and Nifty logging 234-points gain to 10,567 level from the day's low. Analysts attributed the recovery in the benchmark indices to low margin of defeat for the BJP in Rajasthan and Chhattisgarh. "Uncertainty from the elections seem to be behind us now. If it had been a whitewash, with high margins of defeat for the BJP, then markets would have been under more pressure," S Krishnakumar, chief investment officer for equities at Sundaram Asset Management told Reuters. After the election results have been announced, there are few factors that investors and traders should consider while playing the market. The markets had already accounted for the election results in trade yesterday which implies that investors and traders can move over the political impact of elections and focus on fundamentals. Sunil Sharma from Sanctum Wealth Management said, "One of the most critical decisions investors make is to stay the course. The data over the past two decades clearly suggests that markets track fundamentals and earnings, and can deliver strong returns across political regimes. Today's reaction by the markets is surprising to some, but it's a classic 'buy the rumour, sell the news' reaction. The news is already in the market price." Mayuresh Joshi, Fund Manager at Angel Broking said," The move to appoint a new RBI governor shall be keenly watched from the market perspective. Also how the earnings trajectory pans out in the quarters to come from a domestic perspective shall be observed. The movement of crude and global cues with fears of slowdown meandering in the US markets and the progress of trade war resolutions and Brexit developments shall determine the course of equity markets in the near future". Deepak Jasani, Head of Retail Research at HDFC Securities said, "All eyes would be now on the govt's handling of the RBI issues and its reaction to the latest electoral reverses. Progress on US China trade issues, interest rate trajectory in the developed economies and progress in rural economy in India will also be watched closely. Worries on economic growth and growth in corporate earnings could place a lid on the market valuations going forward. Technical situation of the markets in terms of fund flow (from abroad or local) could also be a factor for worry." Mustafa Nadeem, CEO at Epic Research said, "There are multiple factors that will come into effect when we see markets with a perspective of six months and beyond. There are many factors that get discounted because it is just not the domestic but international factors as well and how are they shaping up. We expect it will be mostly eyed on the event such as Lok Sabha 2019 because that is detrimental to overall business cycle that will be affected for its usual length. The GDP and fiscal budget are also something which will be eyed. The volatility and money may not be able to move the market decisively since it will be a larger consolidation/ correction within a broader range. The markets will also be synchronized to the global markets which are already in a bad, if not worst yet, shape with major western indices trading at 2 years lows and leading indices such as S&P or DJIA nearing the death cross. Not to mention this is a crucial year itself given the dynamics of not just domestic but global macroeconomic events. So it is certainly not safe or sound for anyone who is looking to invest with a perspective of a short-term or 1-year horizon as risk-adjusted returns may be lower/ negative. It will be volatility that will be acting as a factor and certainly leading to loss aversion. Crude oil is the sole factor that is in favour of India as an economy and its getting priced in. But that also has raised the concerns over global demand that is seen subdued while OPEC seems split. That is keeping the markets abreast on any downside as we have seen at 10,100 levels. Scattered buying, creating a portfolio for a longer time horizon and keeping trailing stop-losses in check and scaling in for the long-term with patience will be much better than to be aggressive." Rahul Agarwal, Director at Wealth Discovery/EZ Wealth said," With the results of five states out of the way and the ruling dispensation finally crumbling under long spells of anti-incumbency in the Hindi heartland, the outcome of the state elections can be seen as a major shot in the arm for the opposition. The outcome adds a whole lot of uncertainty around the general elections 2019. The opposition has tasted blood and in all possibility a mahagathbandhan of sorts could be in order. Markets at this point have not priced in the possibility of an unstable government at the Centre and in this light the coming next few months would be extremely choppy for the markets. Global headwinds around recessionary fears in the US, US-China trade wars, delayed Brexit vote will continue to hog the limelight in the short term. In addition, the uncertainty around the leadership issues at the central bank does not seem to be adequately priced in by the markets. It is therefore advisable to watch the markets from the sidelines at least for now because at this point we do not anticipate any major upside to the markets whereas the risk to the downside appears to be significantly higher." For those who don't want to sail in the boat of uncertainty in the market after RBI governor's Urjit Patel's resignation, Sanctum Wealth Management's Sunil Sharma has a piece of advice. "The other factor investors must consider is the alternatives to investment. There are limited liquid investment alternatives that can deliver high teens returns over a longer period of time. Governments in Europe and the United States have had strong criticisms and inputs into their central bank policy. India is no different in that regard, and the government pushing for pro-growth policy choices is along the same lines as we are witnessing in advanced economies," Sharma added. Hareesh V, head of commodity research at Geojit Financial Services said "Gold is likely to be the best safe haven than the dollar at the moment," adding that some of the economic events were likely to affect the interest rate hikes that could weigh on the dollar in the coming month. However, the sudden resignation of RBI governor Urjit Patel is likely to keep the markets on the edge in the near future. "Though both parties have valid arguments on their points of view, the sudden resignation raises questions on whether the Indian government is trying to restrain public institutions and undermine RBI's independence. This resignation, along with political uncertainty, will keep the market volatility elevated in the run-up to the 2019 general elections," said Anuja Munde, portfolio manager at Nikko Asset Management in Singapore. With BJP losing in Chhattisgarh and Rajasthan, the party will have to brace for tough times ahead of the Lok Sabha elections which are likely to be conducted within a span of next six months. Anita Gandhi, whole time director, Arihant Capital Markets in Mumbai said, "The morning reaction was largely due of Urjit Patel's resignation. However, now the market is recovering as BJP's potential defeat in the state elections could mean that ahead of the 2019 general elections, they will have to pull up their socks and do massive spending in the rural side to garner more votes."